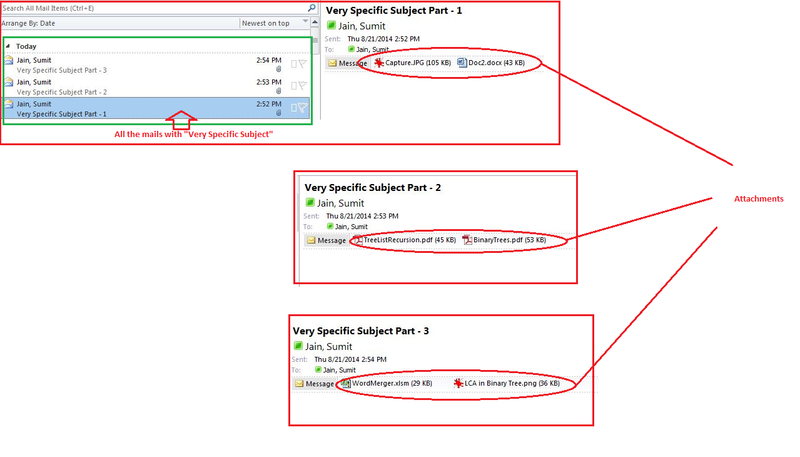 If you want to download the attachments from all the mails in your Microsoft outlook which has a specific subject name. I am very sure if you have 1000 of mails then you don’t want to do it manually. So here is the Attachmentfetcher which does exactly the same. Down­load the Attachmentfetcher.xlsm from the link pro­vided at the top and at the bot­tom of this article. NOTE: All the Attachments will have a random number appended at the name , just to avoid the collisions if two or more attachment has the same name. f_random = Replace(Replace(Replace(Now, " ", ""), "/", ""), ":", "") & "_"
is there any way to fetch the attachemnt from yahoo or gmail. Can we add the time stamp to the attachment? The example mentioned in the post already adding the time stamp to the attachments, are you talking about the same? 220 queries in 0.092 seconds.